Museums and Photography combines a strong theoretical approach with international case studies to investigate the display of death in various types of museums—history, anthropology, art, ethnographic, and science museums – and to understand the changing role of photography in museums. Contributors explore the politics and poetics of displaying death, and more specifically, the role of photography in representing and interpreting this difficult topic. Working with nearly 20 researchers from different cultural backgrounds and disciplines, the editors critically engage the recent debate on the changing role of museums, exhibition meaning-making, and the nature of photography. They offer new ways for understanding representational practices in relation to contemporary visual culture. 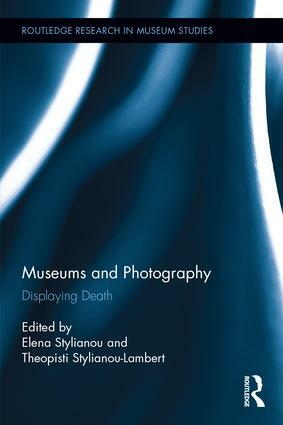 This book will appeal to researchers and museum professionals, inspiring new thinking about death and the role of photography in making sense of it. Elena Stylianou is Assistant Professor in Art History and Theory at European University Cyprus and the founder and coordinator of its Cultural Studies and Contemporary Arts Lab. She has taught in well-known museums in New York, such as the Museum of Modern Art (MoMA) and the Museum of the City of New York and has been involved in various curatorial projects. She has received several fellowships and awards, including a Fulbright Scholarship (USA) and an Art Table Museum Fellowship (USA). Theopisti Stylianou-Lambert is Assistant Professor at the School of Fine and Applied Arts at the Cyprus University of Technology and the founder and coordinator of its Visual Sociology and Museum Studies Lab. Her previous books include The Political Museum (2016), Museums and Visitor Photography (2016) and Photography and Cyprus (2014). She has received several scholarships and awards, including a Smithsonian Fellowship in Museum Practice (USA) and a Fulbright Fellowship (USA).